This particular chili recipe has been transformed three times before it was made into perfection. It started out as a friend’s vegan chili, then into my turkey/meat chili, then into this magnificent creation. This is everything a chili is described to be, hearty, spicy, bold, and comforting but of course built with my own spins and secrets. 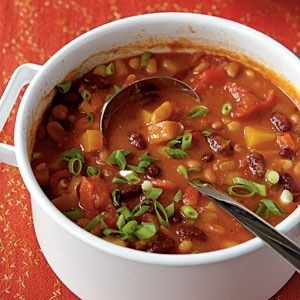 I promise that once eating this chili you may not go back to that boring crock-pot stew. If anything, take this as a base or guideline and run wild with it. Remember that this recipe and all of my PLANT-STRONG recipes will always be free of processed oils, meats, dairy, and extremely low to no added sodium! What I love about this dish is that you get your complete proteins along with plenty of natural sources of vitamins and minerals. It’s also high in fiber and flavor! Like I said, use this as a guideline and add your favorite vegetables to this. 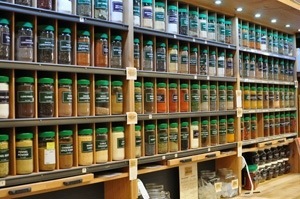 Have fun with it and explore the seasoning section of your local all-natural grocer (WHOLE FOODS MARKET) and have at it. Remember that seasonings always count for “free flavor.” what I mean by that is that using dried herbs and seasonings pack your dish full of flavor and absolutely no calories! If you liked this blog or want the full recipe for this or any other dish, subscribe and leave a comment. You can also email me at servemenowcatering@yahoo.com.